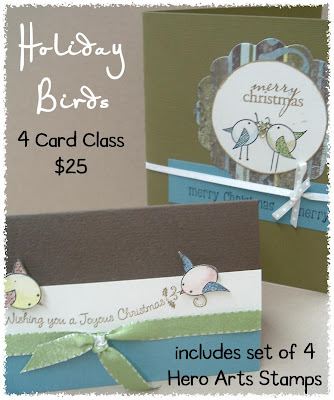 Yes, I've finally scheduled another Christmas Card Class! 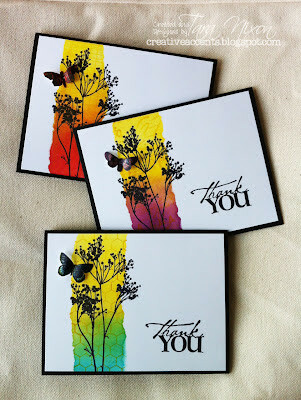 You'll create 4 cute cards and take home a set of 4 hero arts holiday bird stamps for just $25. The first date for this class is THIS WEDNESDAY, Nov. 21 at 6:30pm. We'll also be scheduling it for a Saturday afternoon (TBA- we're taking requests for Either Nov. 24 or Dec. 1). Let us know if you can make it, we're limiting each date to just 6 students!